A few weeks ago, I discussed funeral flower etiquette. Today, I will discuss what to do with funeral flowers after the funeral, as I sometimes get questions on this topic. The flower arrangements are so beautiful, it is only sensible to put them to the best use possible; however, it is not always feasible or desirable to bring them all back home. 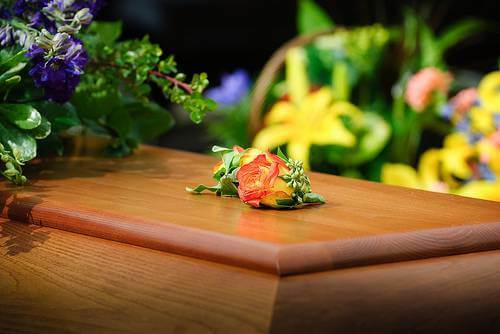 There are several options for what to do with flowers after funeral services. The casket spray, large wreaths, crosses, and other large arrangements can be taken to the burial site and left on the grave. These arrangements are generally too large for the home and too obviously from a funeral to be donated to most places. I know many families that let everyone present for the funeral and burial select one of the funeral flowers from the larger arrangements to take home in memory of the deceased. 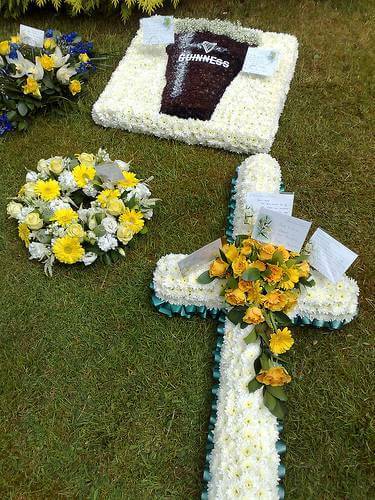 This is a nice gesture and generally leaves plenty of flowers to dress up the grave. Cemetery workers will then dispose of them when they start to die. You could always put some on another family member’s grave, as well. Another option is to talk to the funeral director to see if there is a funeral without many flowers that could use some. Taking home the smaller arrangements is a nice way to remember the deceased after the funeral, especially if they are the deceased’s favorite flower or color. Flowers always look beautiful around the house and give a little bit of cheer or at least solace during a painful time. It is comforting to know that in this time of grief, so many people are thinking of you and care enough to send flowers. Many times some of the arrangements will be made up of living plants; these can live a long time with proper care. Sometimes, there are too many arrangements to take them all home, or you just don’t want them. In this case it is perfectly appropriate to ask friends and family members if they would like to take home an arrangement. Most are more than happy to take home some beautiful flowers in memorial of a loved one or friend. It is generally most appropriate to offer flowers to the closest family members first. I know in my family, members always share the flowers after funeral services. Preserving some of the funeral flowers is also popular. In previous posts I have shared with you how to preserve flowers by using drying agents, the microwave and pressing; you may want to refer to these posts if you are interested in preserving funeral flowers. I have seen a fair amount of flower petals pressed, dried, and used in bookmarks with a poem, or arranged artfully in a frame. This serves as a long lasting, lovely memorial to the deceased. 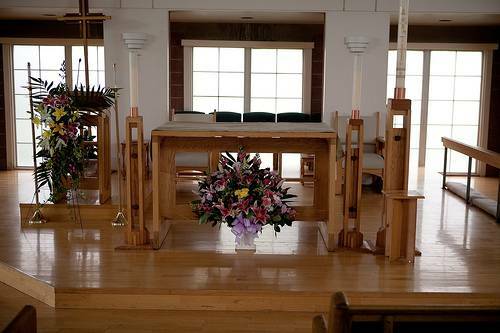 Most churches, hospitals, and nursing homes are happy to take donated arrangements as well. Of course, these should not be arrangements that are obviously from a funeral. Larger arrangements look great in bigger buildings, so if you have more than enough for the gravesite, consider donating them. Flowers give cheer and color to nursing homes and hospitals where people need it the most, and no one has to know that they were funeral flowers. 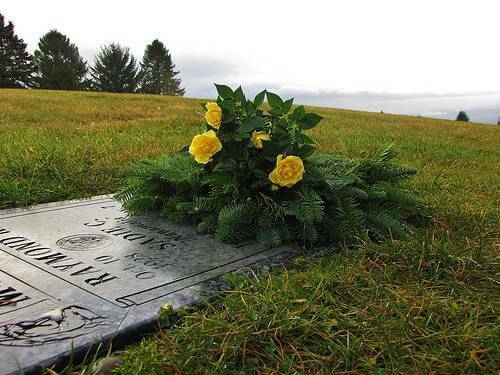 Leaving arrangements at the gravesite, taking flowers home, giving flower arrangements to friends and family, preserving funeral flowers, and donating flowers to churches, hospitals, and nursing homes are all ways to discard flowers after a funeral. These are ways that get the most use out of the beautiful arrangements and honor the deceased. I just want to remind you to select a family member to take off all of the cards on the arrangements sometimes the funeral parlor does this so that you will know who to send thank you cards to–you may want to make a notation of who sent what arrangement. In a time of grief, flowers can give comfort and beauty even after the funeral.